Last year I jumped the barrier at the time trials, jumped back in and still managed to have the best time. This year I ran a straight course. 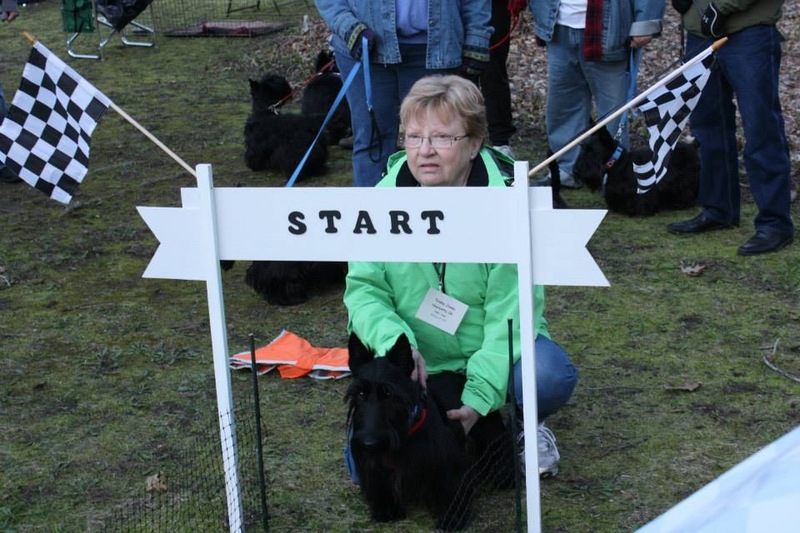 Here I am with Mom at the starting line. She’s looking down the 30 yard track, waiting for signal from Dad. Dad calls my name and I’m off. My time for the 30 yard sprint is 3.2 seconds improving last year’s score of 3.8. This is my certificate. 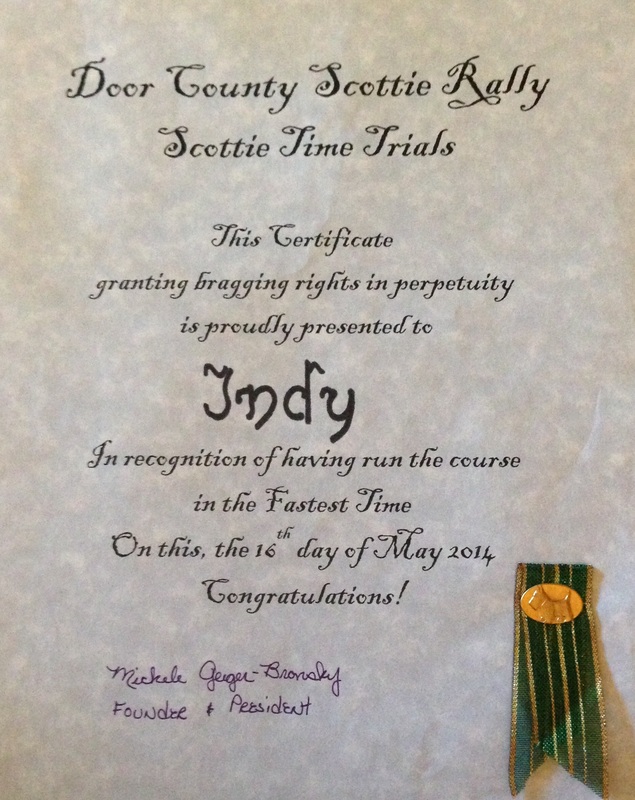 It was presented to me by Michele Bronsky, founder and President of the Door County Scottie Rally. 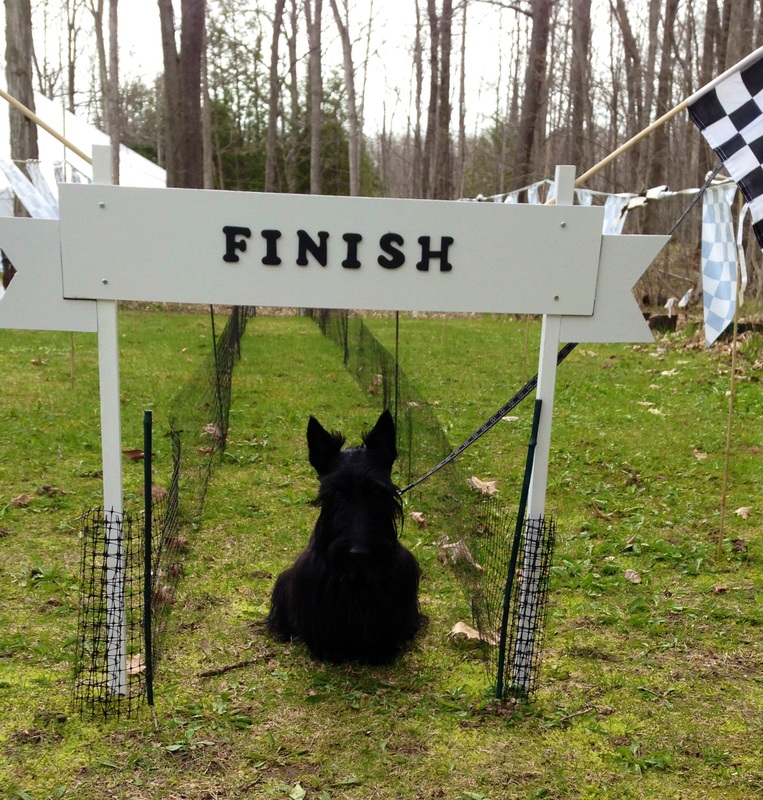 I also got a Scottie full of dog treats. 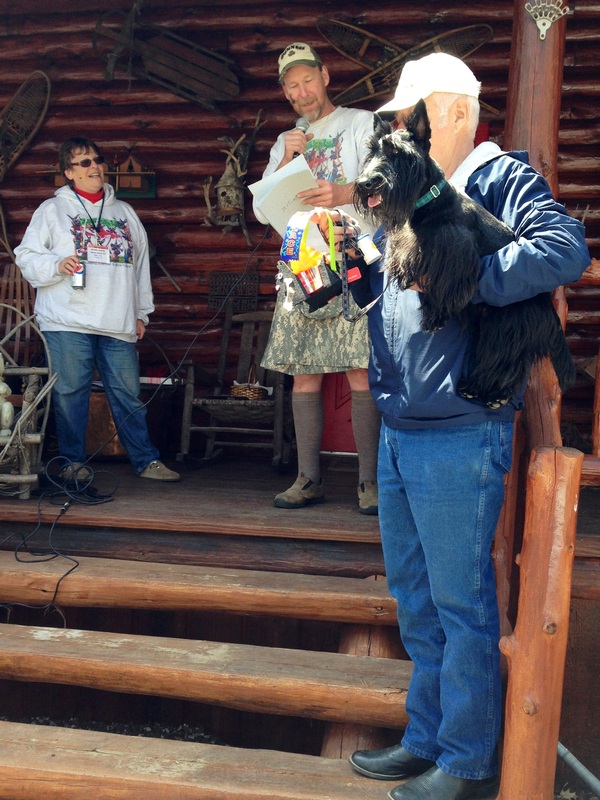 Here I am with Dad receiving my award. Go Indy Go!! Good luck this year at the rally–make it a three-peat! Wow, Dude! You must be part bunny rabbit!b great achievement…did you practice by running away from Sister? No, Dad taught me to race. I guess that was a poorly thought out remark Indy. Sorry…Mama made me write it. You are way too kind, Lulu Belle. Oh, Indy — says you. 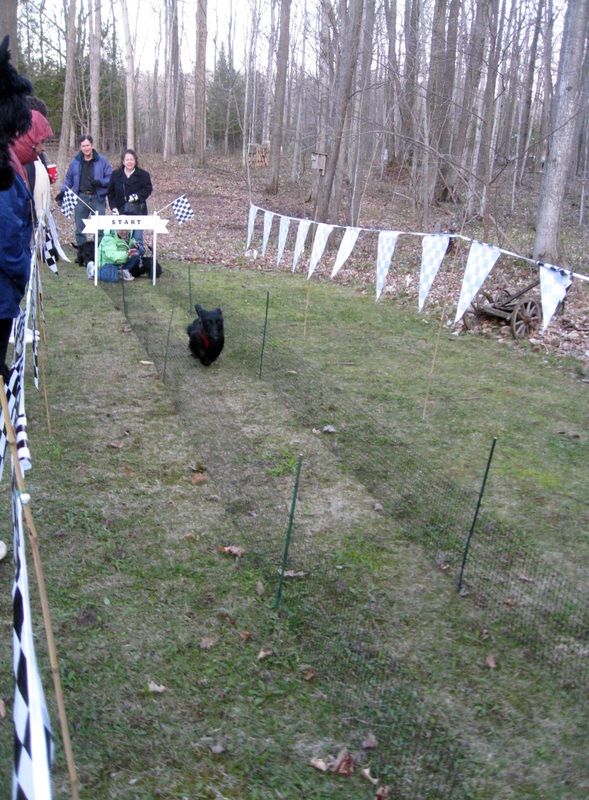 I could look in a 100 mile radius and would not find a black, white, or brindle Scottie male. What’s a girl to do? The answer is love from afar and YOU are that answer. We can always be pawpals, right? The gang is impressed. They would probably do the course in 5 minutes. They are the laziest Scotties. BOL Sister took three steps and turned around. She had no clue. Great race. Little speed demon. Tell your Mom to have a video this year for your Triple Crown Victory….